I only realised that Sophie Kinsella had released this book when I saw it in a Costco near my home. It was weird, considering that I was used to following her publishing schedule avidly as I had done earlier in the Confessions of a Shopaholic series. This book was a great quick read and another one where I did stay up a lot later than I had planned to. The difficulties of affording to live in London while in an entry-level job were something I could definitely relate to, as a soon-to-be graduate who has a keen sense of the challenges that moving to London would bring. 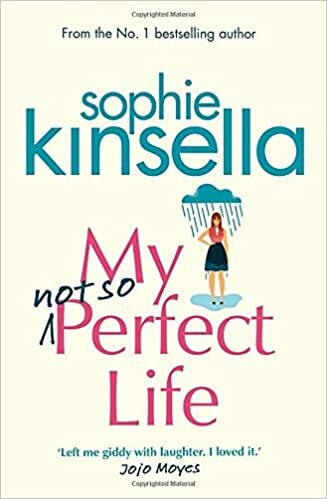 There were also some really insightful comments on baby boomers and the generation gap that got me thinking, making me almost believe that Kinsella was a twenty something just like me… Of course she isn’t, but her characterisation was just that good! One of the difficulties the book had for me was the level of sympathy I was able to feel for the MC as the book progressed. Her Dad and Stepmum ended up opening a glamping resort as they had that much land and spare cash available. This was a great backdrop for the drama of the second half of the book but detached the experience of relatively well-to-do farmers from my own life experience a little too much for me. I’m usually put off by books that have overtly middle class characters at the centre of them as I like to read about people I personally identify with, but the opening sympathy I’d felt for the main character kept me going. Avoid reading the inner jacket copy if you don’t want to be spoiled as it took a little bit of the intrigue away from the first half of the book. It would be a perfect beach read. Up Next: I’m about to start reading Dear Amy, which is a Sunday Times bestseller so I have high hopes for this one!